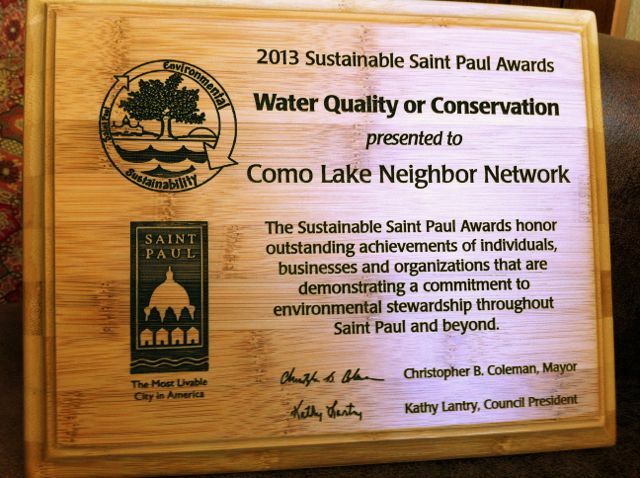 CLNN is the WINNER of the 2013 Sustainable St. Paul Awards in the Water Quality category!! Thank you Ward 5 Councilmember Amy Brendmoen for nominating us and for your strong support of our efforts to tackle Como Lake’s impairment through neighbor-led solutions. And thank you Capitol Region Watershed District for funding our work! Watch a slide show of the winners. 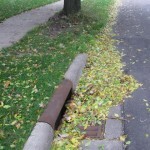 Throughout this blog you’ll notice we go on ad nauseam about phosphorus pollution flowing to Como Lake via our neighborhood storm sewer system. Below is a bit more detail about why phosphorus – or rather excessive phosphorus – in Como Lake is such a bad thing. 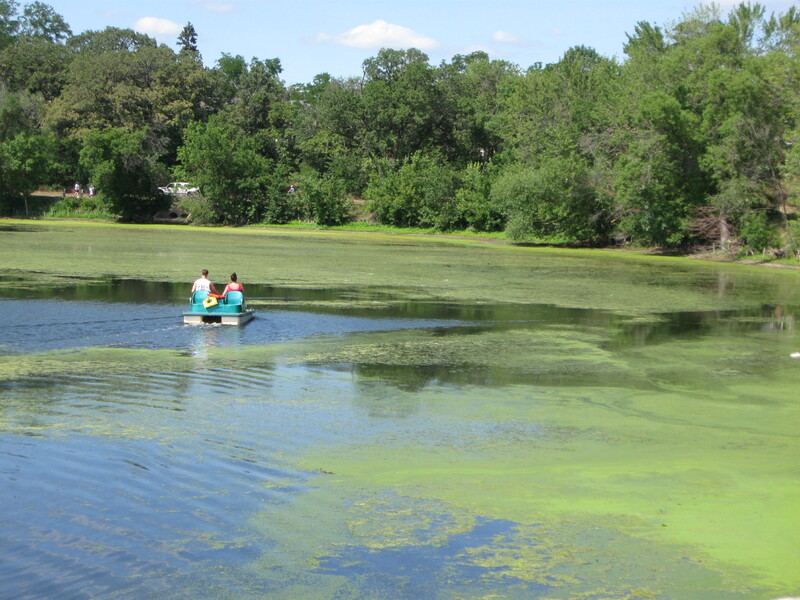 The Issue: Como Lake is currently listed by the Minnesota Pollution Control Agency as “impaired” due to excessive concentrations of phosphorus in the water. 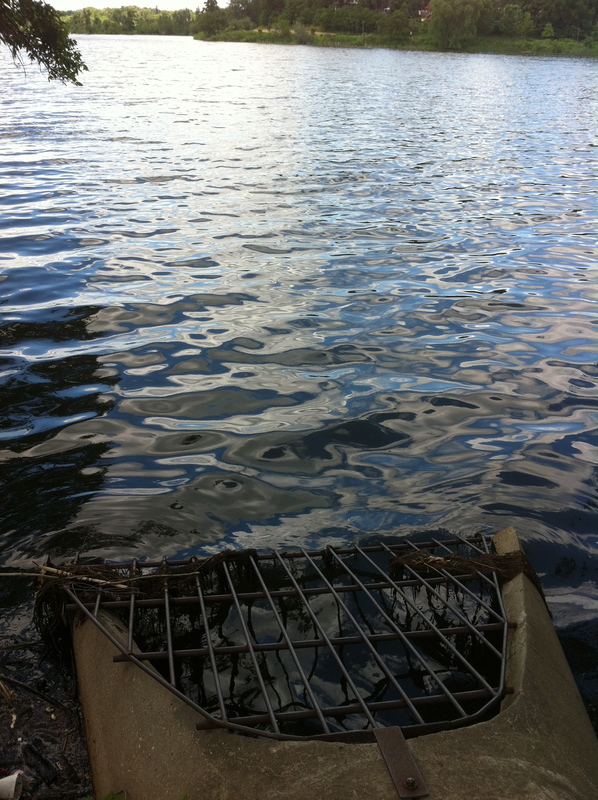 This means our lake is not able to meet its “designated uses” which include recreation and support of aquatic life. 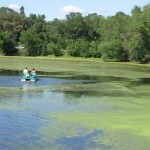 The result of the excessive phosphorus is an explosion of plant growth – noxious algae being the most harmful – that are overwhelming our lake, destabilizing its self-regulating system, harming aquatic life, and threatening downstream waterways. Where is the excessive P coming from: Capitol Region Watershed District has completed an assessment of our lake and determined 65% of the phosphorus in our lake’s water is coming from “internal” sources. That is, from the dead and decaying plants and sediment layer that has built up in our lake over the last several decades. In other words, once phosphorus gets into our lake it never really leaves. The other 35% of the phosphorus present in the water column is coming from “external” sources. That is, from the surrounding watershed – the land area made up of the neighborhood streets where we live that drains to our lake via our storm sewers. So in addition to the excessive phosphorus already present in Como Lake, new phosphorus enters our lake every year – leached from the tons of organic matter that accumulates in Como (leaves, grass clippings, soil), breaks down in our street gutters, and washes into our street storm sewers that empty to Como Lake and the Mississippi River. The Biggest Source: As mentioned, organic debris – leaves, grass clippings, and soil – is a major source of phosphorus in our urban lakes and rivers. Many people tend to think of lawn fertilizer as the primary source of phosphorus in Como. But thanks to a Minnesota law restricting the use of phosphorus in lawn fertilizer, the impact of fertilizer in urban areas has lessened. 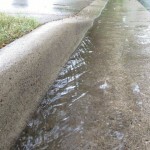 Today, organic matter that accumulates in street gutters is more serious. And literally tons of this material accumulates in Como street gutters each year. The Compounding Factor: Our neighborhood is over 1/3 “impervious” surfaces – roofs, driveways, sidewalks, parking lots, streets. 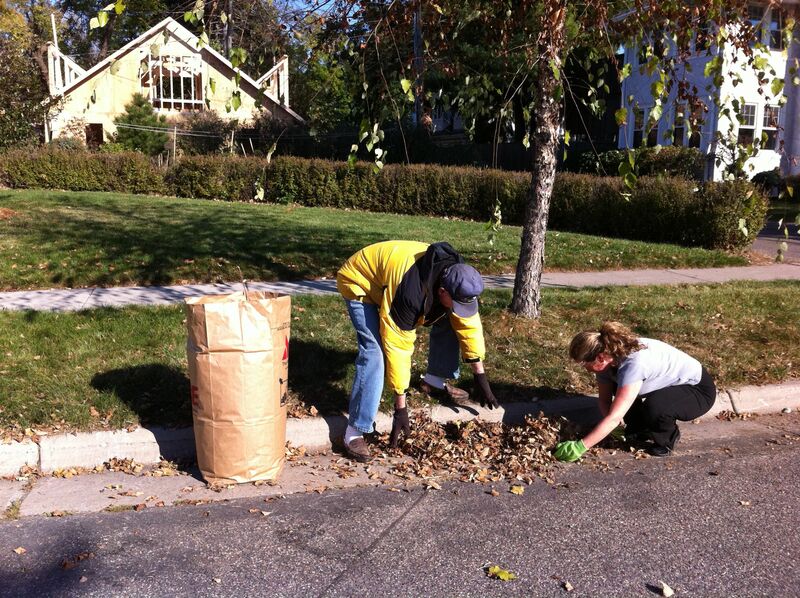 When organic debris accumulates on hard surfaces – sidewalks, driveways, parking lots, streets – it does not break down into the soil as it would in nature – instead it sits there where rain and snowmelt can flow over it, through it, breaking it down and creating a kind of ‘compost tea’ that’s washed into storm sewers that then empty into Como Lake and the Mississippi River. Thousands of residential blocks (1,783 acres of land area – over 1,000 football fields) drain to Como Lake. Many of these blocks are lined with mature trees and urban lawns, so lots of organic debris accumulates in our streets gutters where it leaches phosphorus into storm sewers that flow to the lake and river. The cumulative effect of this much phosphorus getting washed into our lake and river – far more than is natural – is quite dramatic, especially for a lake like Como that’s shallow and is a mere 1/24th the size of the land area that drains to it. The Intervention: The fact so much phosphorus washes into our storm drains and then is carried on to Como Lake and the Mississippi River is not the fault of the residents who live in the Como neighborhood. 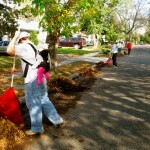 (Not unless you are one of the misinformed souls who sweeps their leaves and grass clippings into the street intentionally). 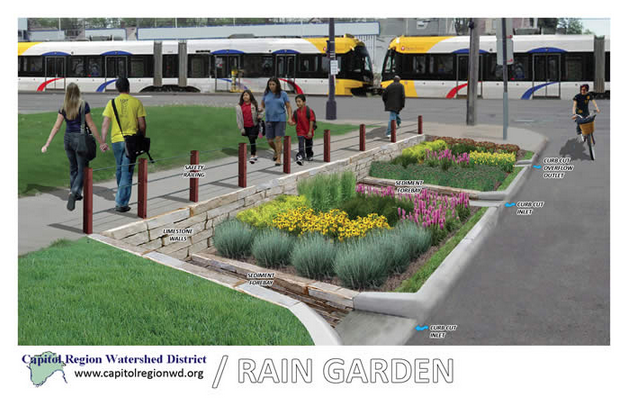 The truth is, our highly impervious neighborhood and the underground storm sewer system that sends our storm water runoff straight to our lake and river is the “built environment” we inherited from many decades ago. This is how the system is “supposed” to operate, to keep our homes and streets from flooding. But today our lake is impaired, so we find ourselves in the position of needing to “intervene” before all that debris leaches phosphorus into storm drains and into our lake. Government’s Role: We are not alone in this challenge. 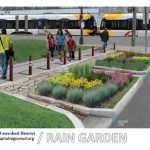 Today there are modern “green infrastructure” technologies that help filter or “settle out” pollutants from urban stormwater. 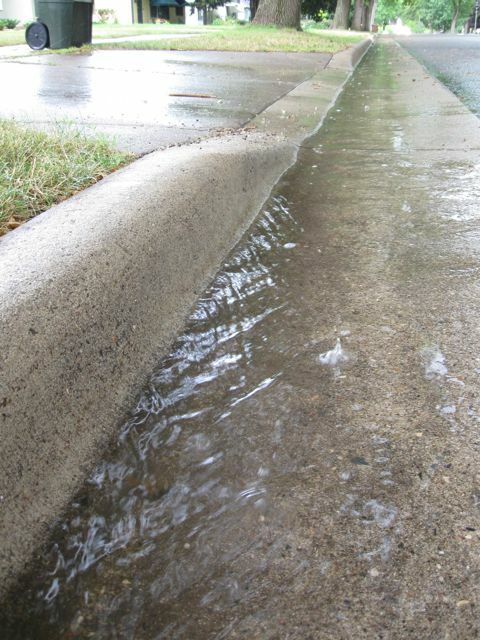 As they are able, the cities (St. Paul, Roseville, Falcon Heights) that have storm sewers flowing to Como Lake are working with Capitol Region Watershed District to replace some of the older, less sophisticated stormwater infrastructure. But this is expensive and will take time to replace. 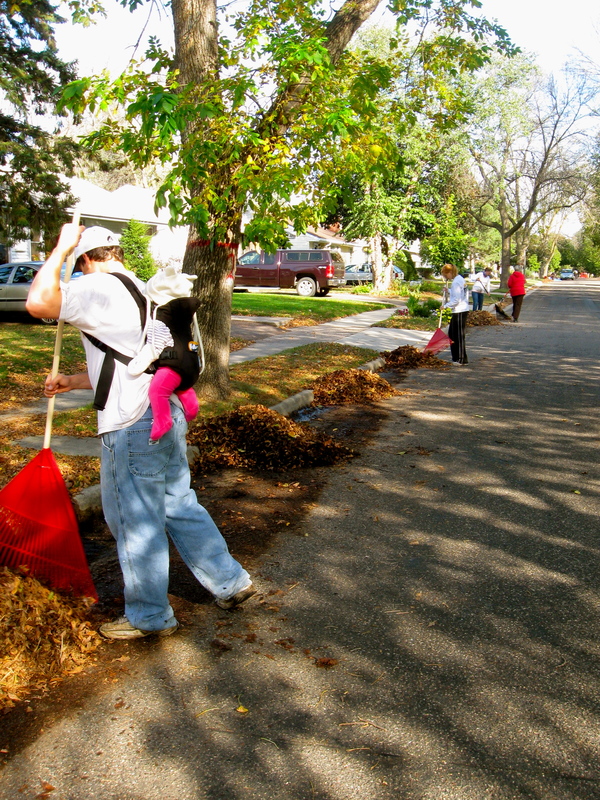 All three cities run a street sweeping program and remove organic material at least once in spring and once in fall from streets and curbs. This is a critical function, but costs money to operate. 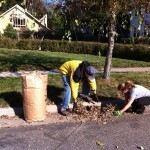 Given current economic circumstances, increasing the frequency of street sweeping is not likely in the short term. 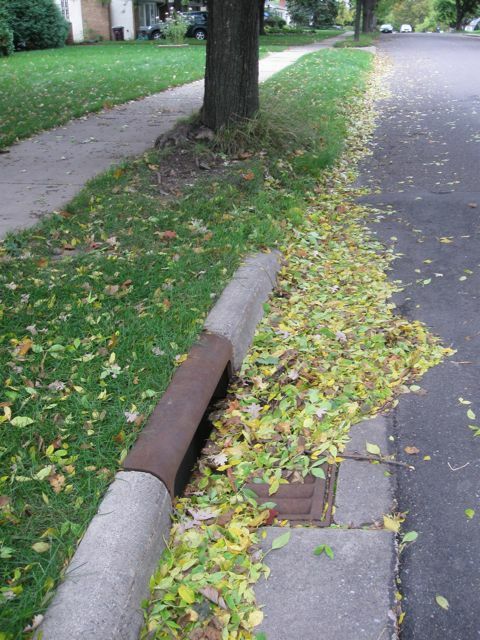 The Public’s Role: The residents who live on the streets that drain to our lake and river can play a critical “source reduction” role, by preventing organic debris and other pollutants from our neighborhood from getting into storm drains in the first place. Given that Como Lake is already impaired for phosphorus, cleaning up organics from our streets and curbs in between street sweepings is an especially vital role residents can play to slow the influx of new phosphorus sources into our lake. If we can significantly reduce the “external” (watershed) contribution to our lake’s phosphorus load, it will then make economic sense for our local government agencies to invest in solutions to address the “internal” phosphorus load problem. But we have to turn off the outside “faucet” first, otherwise our investments in internal phosphorus loading remedies will be futile. 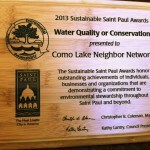 It is in this spirit of shared responsibility and shared contribution to watershed governance (shared between government and the public) that the Como Lake Neighbor Network seeks to organize fellow Como neighbors and other local partners in a collaborative effort to reduce the phosphorus flowing to Como Lake. We are trying to do “our part” – the citizen role – by preventing phosphorus at the source. 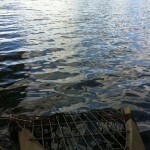 We firmly believe, working together is our lake’s best and perhaps last hope for recovery.